At some point your lifetime, you've probably had a toothache. Whether you had throbbing pain or just a dull ache, toothaches are pretty common. In fact, toothaches are one of the most frequent issue faced by both children and adults in American. A toothache may be sharp, dull, throbbing, continuous, or irregular. You might just have pain when you eat or the pain makes it so you can't concentrate on anything. Attempting to determine what could be causing your tooth pain could be worrisome and frustrating because a toothache might be an indication of something little, such as a cavity, or something larger, such as an abscess. If a toothache lasts for over 48 hours or you're in pain, then Highland Dental Care and Ortho. strongly recommends contacting us to schedule an examination as quickly as you can, so our experienced team of dental professionals in Pearland, TX can diagnosis the reason and create a treatment program. Here's a few of the common underlying causes of a toothache, additional signs to look out for, and strategies for avoiding toothaches in the future. One reason for a severe toothache is a crack in your tooth. This is sometimes caused from an injury or something more straightforward like eating ice or a hard candy. If this happens, urgent treatment is usually essential to decrease your pain and fix the tooth. Not all toothaches are a cause for immediate worry. For instance, healthy teeth may get sensitive, uncomfortable, and ache for a brief time after a home or professional whitening treatment. This specific sensitivity results from the aggravation of the nerves inside your teeth by the whitening agent. However, when the sensitivity causes extreme pain or does not subside after a few days, you need to contact a dental professional. A less known reason for tooth pain is sinusitis (a sinus infection). Your top molars are near your nasal cavities, which is why pressure in your nose can affect some teeth. When cold symptoms and sinus pressure occur at the same time as your tooth pain, you might have to see a general practitioner for sinusitis. An abscessed tooth, generally brought on by a cavity that hasn't been treated, may result in a serious toothache. A dentist might have to extract the tooth or perform root canal therapy to take care of the problem. A mild toothache alone is an issue that does not require urgent care. 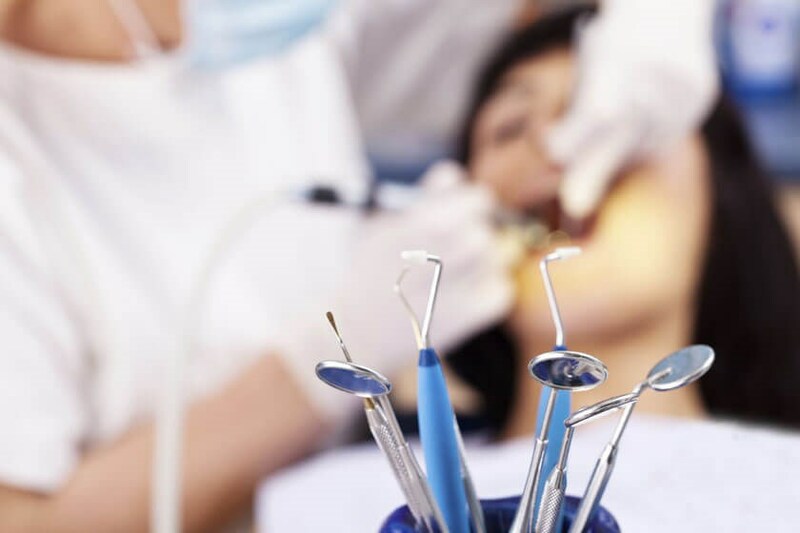 If tooth pain and inflammation are present after a dental operation, they're probably the result of the procedure and will probably subside in the next few days. However, when you've got tooth pain as well as other symptoms, then you might have a critical issue. You need to schedule an emergency appointment with your dentist when your pain is intense, not improved with home treatment, or you also have a fever. All these are signals that an illness exists, which has to be addressed before it gets worse. Difficulty chewing, talking, and opening up your mouth are other symptoms of a serious illness that need to be reported to a dentist straight away. Finally, tooth pain accompanied by a rash on your face may be a sign of sepsis, which demands urgent medical care. To treat minor toothaches, several home remedies might help relieve the pain as you are waiting to see a dentist in Pearland, TX. A basic saltwater rinse, non-prescription pain medicine, along with a cool compress can help improve your pain. Diluting hydrogen peroxide with water may be used to eliminate bacteria, alleviate pain, and decrease swelling. Many toothaches will need professional care from a dentist. Although your tooth pain might not need emergency care, it's far better to be safe in regard to your dental health. Treatments could include a tooth-colored filling, a root canal, or extracting a tooth based on your condition. If the disease presents along with chills, a fever, or inflammation, then you could be given a prescription for antibiotics together with your procedure. Enjoying a healthy diet may also help stop toothaches. Foods with high amounts of calcium keep your enamel healthy, which makes it more challenging for decay to cause damage. Carrots and apples, which are full of fiber, are also good for your teeth. Both of these foods encourage the creation of saliva, which will help to wash away plaque. A stick of celery is an excellent natural toothbrush, polishing away debris and germs with every bite (though we suggest twice-daily brushing). Your best defense against tooth pain is great dental hygiene. Decay can be avoided with a great home care regimen, which involves twice daily brushing and flossing, as well as mouthwash. If you frequently experience extreme tartar buildup or decay, talk to your dentist about sealants. This proactive procedure may help protect your enamel from tartar and plaque buildup. Above all, everybody in Pearland, TX needs to get annual oral health exams plus twice-yearly professional cleanings. Routine appointments at a dentist’s office will help to make sure enamel buildup and developing problems are addressed before they have the chance to damage your teeth and lead to tooth pain. Your dentist will also recognize weak areas before they become a toothache and recommend preventive treatments. Whenever you've got a toothache, get in touch with your dentist to determine if you require urgent attention. When you take care of tooth pain at the first signs, you can avoid a bigger problem and more invasive treatments. If you are not getting help for tooth pain due to dental fears or anxieties, Highland Dental Care and Ortho. can use sedation techniques to help keep you calm and comfortable throughout regular examinations and procedures.